The Minister of National Security Jeff Baron had the pleasure of attending a Seniors Tea yesterday [May 1] as part of “Corrections Week”. 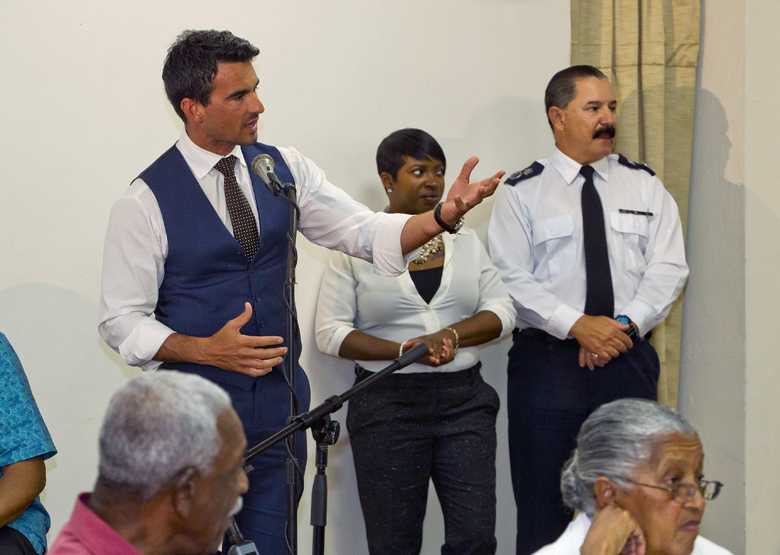 The public will be aware that the Department of Corrections in observing “Corrections Week” from April 30 – May 5. 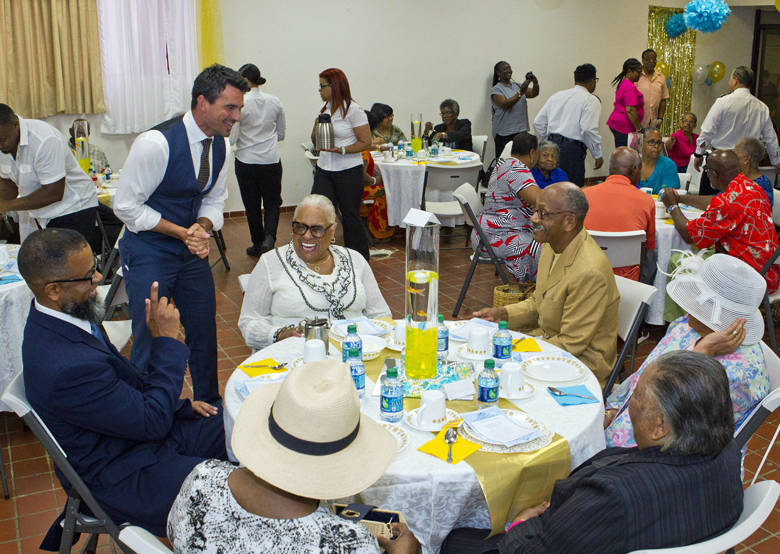 This year, some planned events included a special church service and yesterday’s Seniors Tea, which was held at the First Church of God on North Shore. 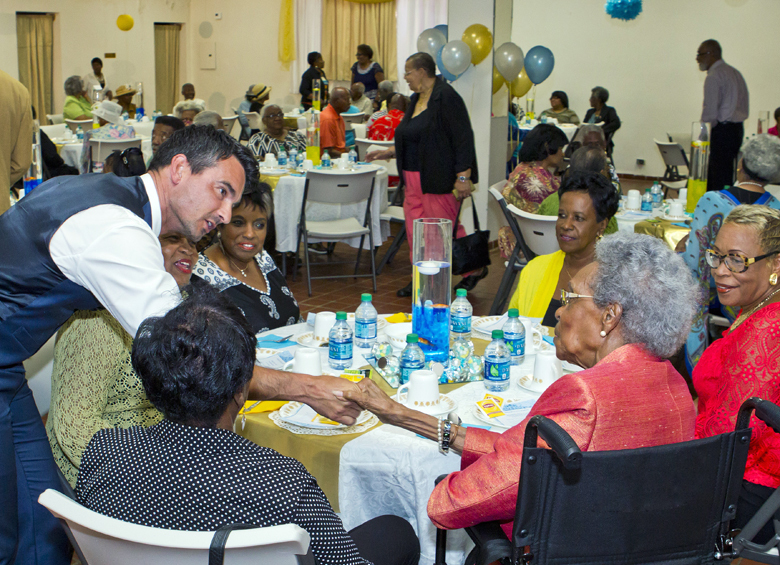 Approximately 90 seniors were treated to refreshments courtesy of Commissioner Edward Lamb and the Department of Corrections staff. 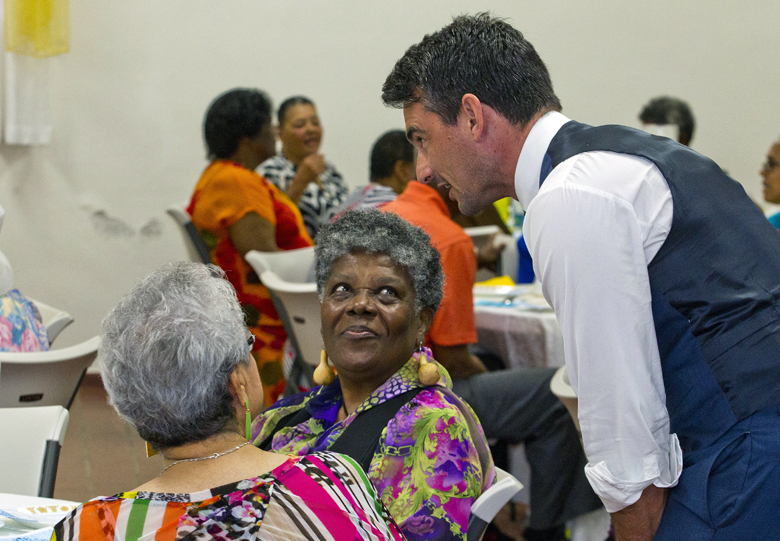 At yesterday’s gathering, Minister Baron took the opportunity to extend his “extreme appreciation” to our Island’s seniors, noting that they “have made invaluable contributions to the social fabric of our community”. As it relates to Corrections Week, Minister Baron acknowledged the “unique service provided by the Department of Corrections, pointing out that “Corrections Week” affords us the opportunity to recognize the important work that they do in our community. Also in attendance at the tea, was Bishop Vernon G. Lambe, pastor, First Church of God as well as Chaplain, Elder Kevin Santucci. 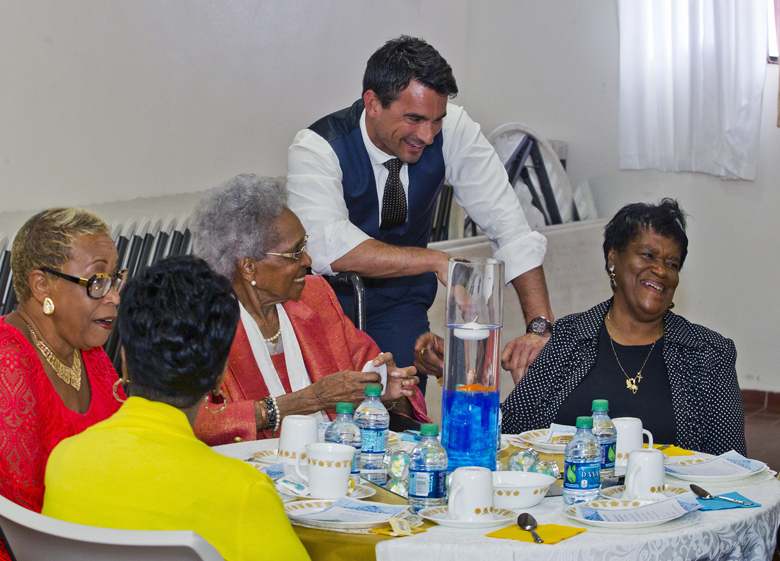 Monday’s Seniors Tea was hosted by the Department of Corrections in conjunction with the First Church of God, who kindly provided their facilities for the event.